The Body Shop Sells Sorbet?!?!? I love when new products/innovations come out. Especially if it's a texture that you have never felt/seen before. 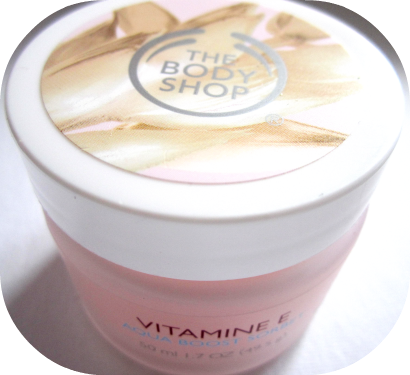 It was literally love at first sight when I received this Vitamin E Aqua Boost Sorbet ($20.00 CAN) from The Body Shop. An instant cooling sensation for all day hydration. This silky-soft moisturiser hydrates and refreshes skin with an ultra-light light formula. It's so light and soft but very hydrating. Actually- The Body Shop has also come out with line body sorbets which come in your favourite scents. That's a whole other story but the next time that you are in the body shop please treat yourself and I'll test out every single one. You will fall in love!